We are committed to nurturing inspiration and promoting creative growth and the magic of live performance. 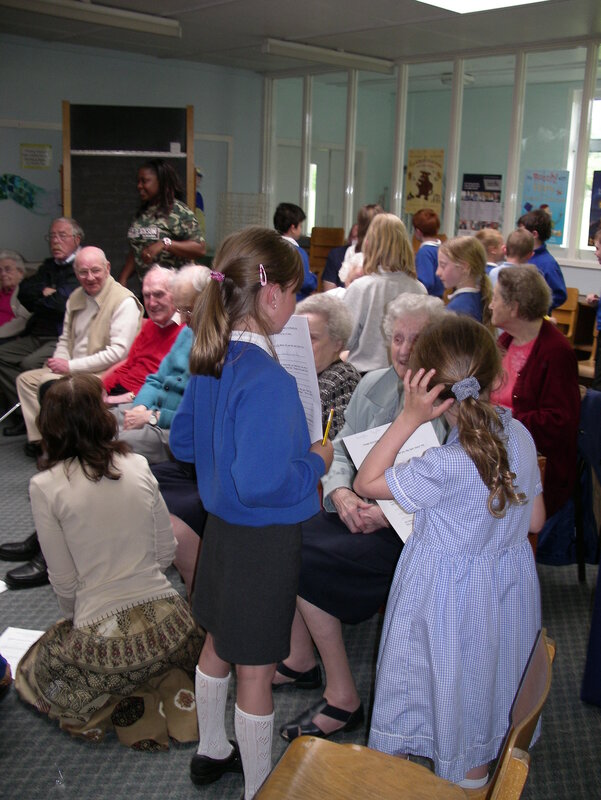 We work to bring learning and joy to audiences in communities across Scotland. Citadel Arts Group produces plays and nurtures new playwrights of all ages, especially mature writers. The company also brings together writers, actors and directors, costume makers, sound engineers, prop makers and theatre workers in a unique collaboration from a play’s start to its finish. We believe theatre is a total experience. It begins with the creation of a script through the WEA Playwrights Workshop, grows in rehearsal, and culminates in a stage performance which touches and challenges audiences. Our aim is to bring the generations together and reach people who do not often have access to live theatre in their own communities. Our writers are invited to attend auditions and rehearsals, watch improvisation sessions, assist in revising scripts, meet the stage crew, and participate in the process of stage production. We work as a team using the talents of our whole crew throughout production.We are committed to nurturing inspiration and promoting creative growth. For copies of the booklet 'Pentland House - Memories and More', please contact the Workers' Educational Association. Tel. no. 0131 225 2580 or click here to visit their website. Citadel Arts Group acknowledges the continuing support of our partners, the Workers’ Educational Association. The WEA support new writing through funding the Playwrights Workshop and a range of educational classes including Theatre Studies. 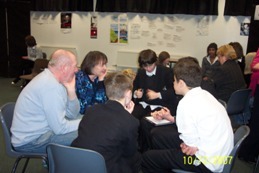 Awards for All funded the 'It Makes You Think' project in 2007. 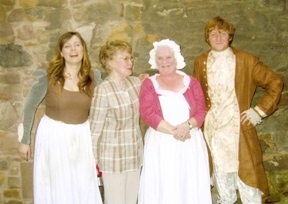 The Scottish Community Foundation funded Magic Moments, the project of plays for older people, and the Penicuik Play. 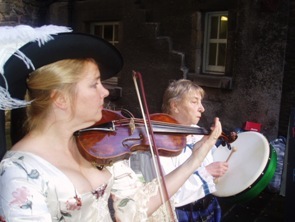 They attended the final complete performed reading in Penicuik Town hall which was part of the Arts Festival.